إن فندق فندق كواليتي بارنيل بموقعه الممتاز في بارنل هو نقطة انطلاق جيدة لنزهاتك في أوكلاند. يقع الفندق على بعد 5 km من مركز المدينة، ويؤمن الوصول إلى أهم مراكز المدينة. يشكل هذا الفندق ملاذاَ مريحاً للاسترخاء ويمنح زواره فرصة للاستجمام والتجدد، وهو يقع على بعد خطوات من المعالم السياحية الكثيرة للمدينة كمثل: Ditto, ‪Takutai Square‬, ‪Cathedral Church of St. Mary‬. إن الخدمات التي يقدمها فندق كواليتي بارنيل تضمن للنزلاء إقامة مريحة. يقدم الفندق فرصة للاستمتاع بشريحة واسعة من الخدمات بما فيها: خدمة الغرف على مدار الساعة, واي فاي مجاني في جميع الغرف, خدمة التنظيف يوميًا, مكتب الاستقبال على مدار الساعة, مرافق مخصصة لذوي الاحتياجات الخاصة . ادخل إلى واحدة من الغرف 105 وتخلص من عناء نهار طويل بمساعدة مجموعة كبيرة من الخدمات كمثل تلفزيون بشاشة مسطحة, هاتف في الحمام, سجاد, قهوة فورية مجانية, شاي مجاني الموجودة في بعض الغرف. سواء كنت من محبي الرياضة أو كنت تتطلع لتفريغ عناء نهار صعب، ستجد خدمات ذات مستوى عالي بانتظارك كمثل ملعب للأطفال, حديقة. مهما كانت دواعي سفرك فإن فندق كواليتي بارنيل هو خيار ممتاز لإقامتك في أوكلاند. We had a wonderful stay and enjoyed the location and the restaurant meals. Will recommend the Hotel to our friends. Always enjoy our stay at the Quality Hotel when we come to Auckland. Once again out favourite suite was reserved for us to enjoy million dollar views from the balcony, all the kitchen facilities required for a short stay (3nights). Free on site parking and public transport just around the corner from the hotel. Staff always very obliging and pleasant. If you want to be near the action not in it then this is a perfect spot. It is possible to walk to Parnell Village's quait and vibrant restaurants and enjoy city and harbor views from the comfort of your private balcony. Parking was a wee problem, especially if something is happening next door at the convention rooms, as the carpark seems shared. Otherwise full marks for a nicely presented motel. FREE PARKING! finally a decent hotel will free parking in the city! location was great, we were driving so it was about a 5 mins drive to the CBD of Auckland. View was great too, could see the sky tower and harbour. The location of the hotel is not exactly in the middle of Auckland town but great for holiday makers who want to have peace and quiet rest. The staffs were great, they will help you whatever they can. Highly recommended! Big apartment. Good facilities with free parking. Good and stable wifi connection. Was amazed by the apartment size and facilities available. 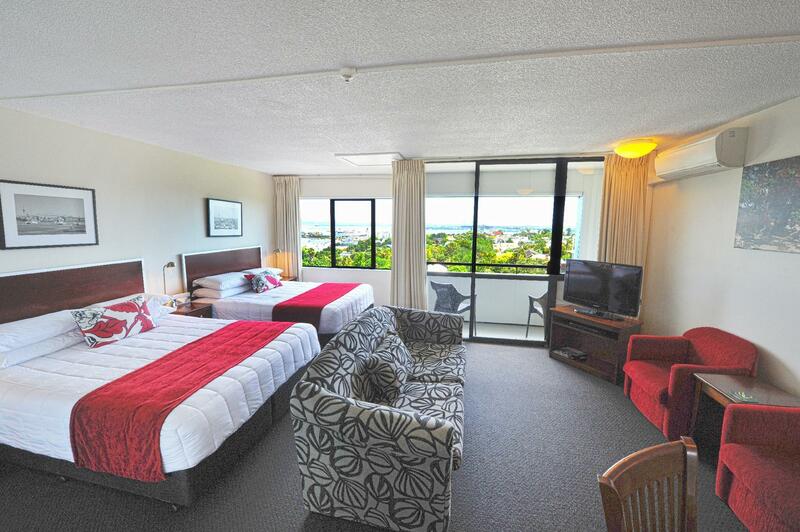 Very big apartment with 2 bedrooms, spacious hall with balcony overlooking Auckland city and harbour. Washer and dryer in bathroom available for use. Very convenient. Friendly snd helpful staff at reception. Good frer wifi connection. Free parking. Excellent location, plenty of parking space; rooms with brilliant views. Wonderful in everything. Love it! Room is clean and spacious. Great city view. Good location, not too far from city centre. Plenty of parking lots. Will definitely be back for the next time. Quality Hotel Parnell was great we really enjoyed our stay.Situated in a quiet locality but close to the city.It represented excellent value for money. Room had a lovely harbour view and staff were pleasant and helpful. Easy parking at the hotel and walking distance to an excellent shopping centre if you wished.Fresh air available with windows that open were a real bonus. We spent 2 nights here, 1 night at the beginning of the trip and the second on our last night in Auckland. We choose a room with city views which was not disappointing. The room size is decent however there is no microwave or air con in the room. They do have a heater which we didn't use but also provide you with a fan. Bathroom too decent size with a bathtub. The main issue we had was the wifi which was really slow and wouldn't even connect half the time which was disappointing given that we were international travellers and the Internet was a neccessity. The parking is ample and a good idea to leave the car there and catch a taxi to the city centre which would cost you between 15 to 20$. The area Parnell has quite a few shops and excellent dining options that are within walking distance. I stayed one night in Auckland, I have stayed at other places but this was the best and it was good value for money (the strong pound helped). The staff were friendly & efficient and the room was a good size, modern and clean. Although I didn't use the restaurant, it is convenient and the 24 hour room service is a good feature. Near enough to the city centre for a taxi to be inexpensive, and within ten minutes walking distance of shops and restaurants in Parnell. I go to Auckland on business I like to hotel because it is easy to get everywhere by car not sure about public transport . It is quiet and comfortable and I like the city view from the rooms . Would be improved for the business traveller if the wifi was free . Good as a standard hotel room, can't complain. All expectation meets. Clean, comfort, free parking, peaceful neighbourhood. Only NZ8.50 by cab to Viaduct Harbour! So location is fantastic! This coupled with it's facilities and the fact that my room had the Harbour view makes it fabulous! Welcomed with the warm Kiwi hospitality,room were big and clean.Good location. The only issue was no Sky sport 4 so we could watch the ASB tennis which is on just down the road.